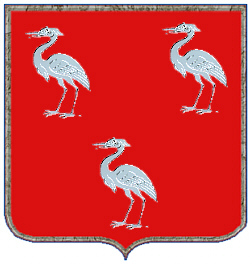 Coat of Arms: A red shield with three silver herons. Spelling variations include: Horn, Horne, Athorne, Athorn and others. English: First found in Durham where they were se ated from very ancient times, some say well before the Norman Conquest and the arrival of Duke William at Hastings in 1066 A.D. Some of the first settlers of this name or some of its variants were: Henry Horne, who came to Virginia in 1623; John Horne, who arrived in Massachusetts in 1630 with the "Winthrop Fleet," Ben Horne, who came to Virginia in 1651. 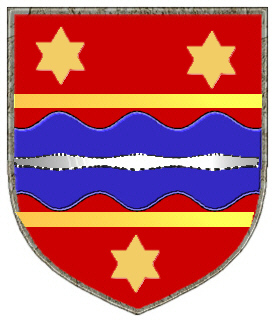 A red shield with three gold stars, a blue fess with silver wavy bar, cotissed gold. HORN. A mailing list for the discussion and sharing of information regarding the Horn surname in any place and at any time. Additional information can be found on the Horn Discussion List web page. To subscribe send "subscribe" to horn-l-request@rootsweb.com (mail mode) or horn-d-request@rootsweb.com (digest mode). HORNE. 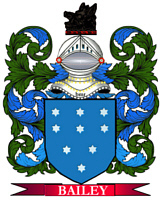 A mailing list for the discussion and sharing of information regarding the Horne surname and variations (e.g., Horn) in any place and at any time. To subscribe send "subscribe" to horne-l-request@rootsweb.com (mail mode) or horne-d-request@rootsweb.com (digest mode).